Pedro Reyes (born 1972, Mexico) lives and works in Mexico City. Having studied architecture, Reyes is keenly interested in how people interact with structures—both built and imagined. While his projects take many forms, they often explore ideas of utopian societies and social revolution. His choice of materials is often inspired by political or social issues, such as gun control and citizenship. 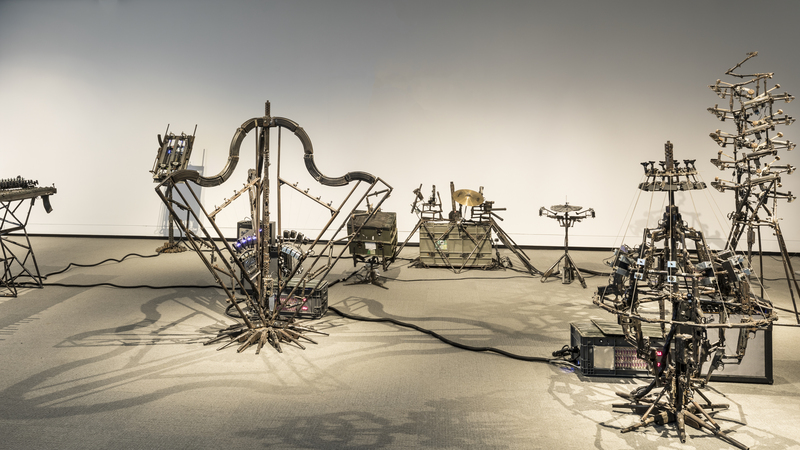 Disarm Mechanized II is a mechanical orchestra made out of weapons seized by the Mexican police in Ciudad Juárez. 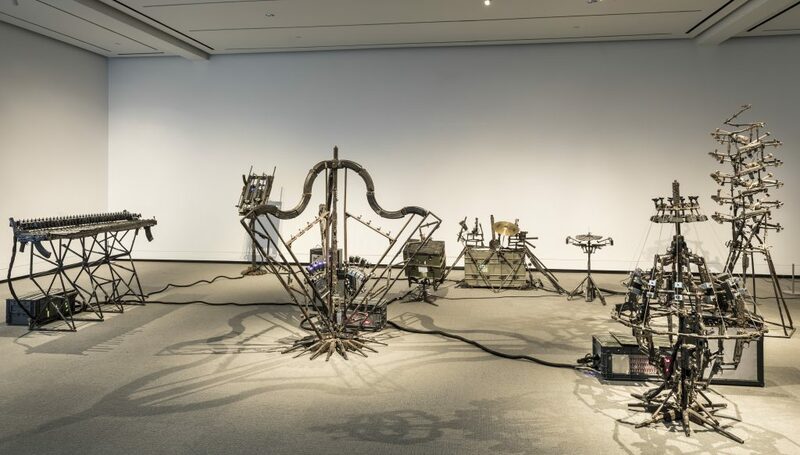 As a response to the drug cartel wars, Reyes dismantled the guns to create this work. He collaborated with local musicians to design and build the instruments, and also to compose the music you hear. The prevalence of gun violence in Mexico and the United States led Reyes to explore how deadly weapons could be turned into agents of peace and social change. By repurposing the guns to make music, he rejects their original violent function. PlayTime curator Trevor Smith discusses how Pedro Reyes uses play for social change. Read the transcript. Pedro Reyes on the relationship between play and creativity. Read the transcript.